If you are looking for one of the most dedicated, honest and responsive real estate professionals in the Napa, CA and surrounding area, then you have come to the right place. I am committed to excellence and work to ensure that all my clients achieve their goals, whether buying, selling, investing, or relocating to another region. I am willing to show as many homes as you would like to ensure you are comfortable and have seen what is currently on the market. I treat all of my clients the same whether they are selling or buying a home for $100,000 or $15,000,000. I pay attention to each of my client’s needs so that you get exactly what you want. By working to continuously understand the evolving marketplace and carefully listening to you, I will help you identify the most appropriate options to meet your needs. Whether it is selling or buying your first home, investing in commercial or residential real estate I am committed to making the entire process rewarding and smooth. As a Napa Valley resident since childhood, I am an expert on properties and amenities in the local area. It has been an amazing experience witnessing Napa Valley’s transformation over the years. This has given me a hands-on, unique experience not shared by many in the field, directly benefiting both buyers and sellers. I know that buying a home is one of the biggest and best investments that many people make in their lives. My goal is to make the process as enjoyable and stress-free as possible. I have many useful resources available at my disposal that you can use to help you find the home of your dreams in the very best areas in and around Napa Valley. Making the decision to sell your home is a very important decision. The next most important decision you will make is which real estate agent that will you trust to market and sell your home as it is likely one of your most important investments. You deserve to work with a broker that has a vested interest in the community, expert comprehensive knowledge of the market and extensive knowledge of all that Napa Valley has to offer. If you need a recommendation for a lender, home-inspector or lawyer, I can help you. Having interacted with many professionals and completed a number of transactions in my career, I have many trusted contacts to ensure that you get help every step of the way. Thanks to these close connections, I am often in on to the inside scoop and ahead of the game in the local real estate market. This is an advantage that I use to help serve your needs and to get you the best deal possible. I can help you get the best price in the shortest time possible. I am an expert in the real estate market in and around the Napa Valley area. Having lived in the area for many years, I take pride in my community. My goal is to help you sell your home at a great price by providing you with all of the knowledge, guidance and tools at my disposal. I utilize both tried and true traditional marketing strategies, as well as more innovative ways to attract buyers to your property. My biggest goal is always to achieve your goals and to instill trust and loyalty. The highest complement that can receive is for you to share your successful outcomes with your family and friends. I will work diligently on your behalf from the beginning of the process all the way through closing. I have attained many real-estate related awards and accolades over the years. From 1988 through 2005, I have received Coldwell Banker’s International Presidents Awards. 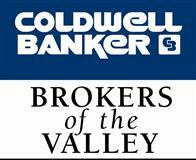 These are the most prestigious awards given by Coldwell Banker to agents and brokers. I was also awarded the top 1 percent of Coldwell Banker offices in the nation. My dedicatation to providing the highest-quality service in a committed and consistent manner can help you meet your goals. I strive to create long-term relationships with clients, the community and colleagues and I hope to advance the professionalism of the real estate industry. Contact Carolyn Roberts today to receive the expert real estate guidance that you deserve.